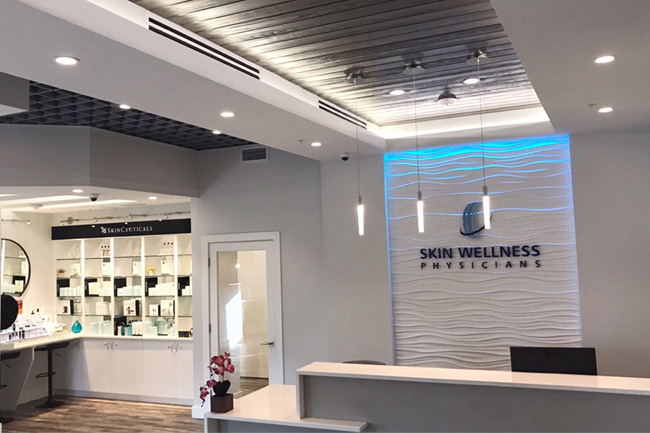 At Skin Wellness Physicians, we partner with SkinCeuticals to provide consistently fabulous skin care results for our patients. 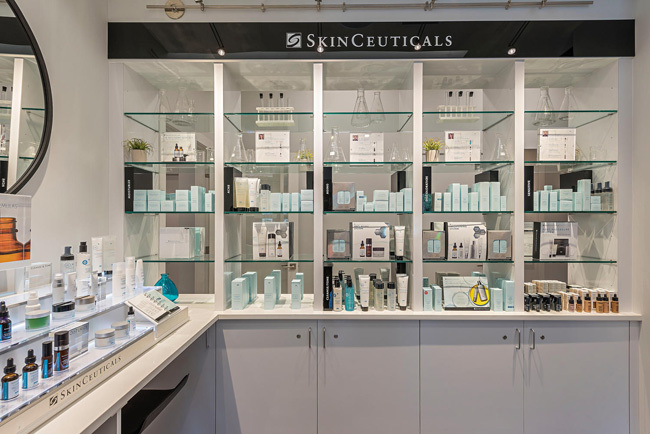 As the world's premier anti-aging skin care line, SkinCeuticals products are on the cutting edge between cosmetics and pharmaceuticals. 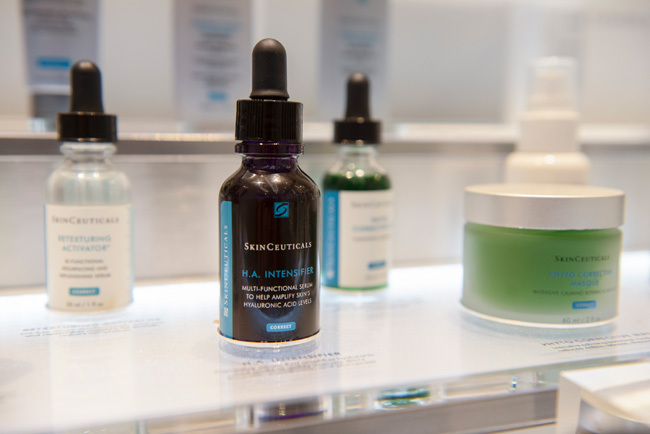 With SkinCeuticals, the proof is in the results, both in the lab and on skin. 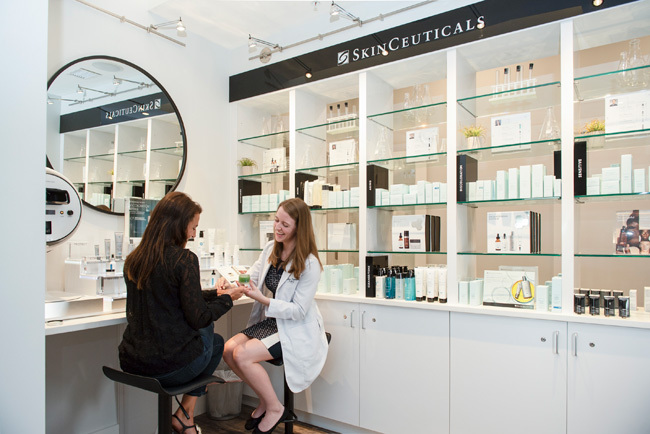 Rigorous clinical studies set SkinCeuticals apart from other skin care lines. Born from decades of skin cancer research that led to pivotal breakthroughs in antioxidants, SkinCeuticals' high potency formulas are concentrated in pure actives and proven to penetrate optimally into skin and enhance skin care efficacy. Our doctors love that they can pair products with cosmetic and aesthetic procedures to provide the best possible results for our patients. PREVENTING SKIN AGING: Even the best broad-spectrum sunscreen may only block up to 55 percent of damaging free radicals generated by UV exposure. 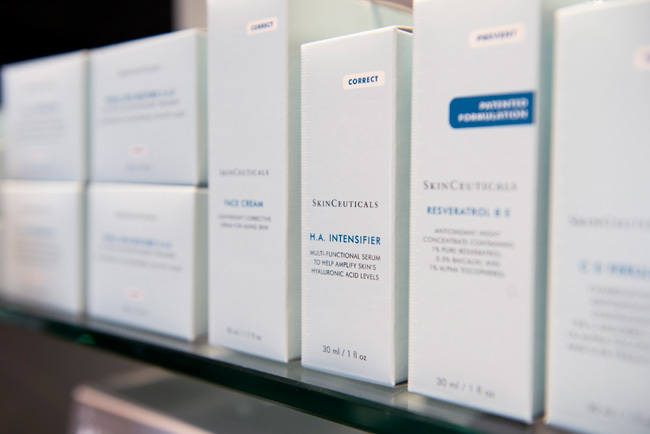 SkinCeuticals' PREVENT products are antioxidants clinically proven to neutralize damaging free radicals. 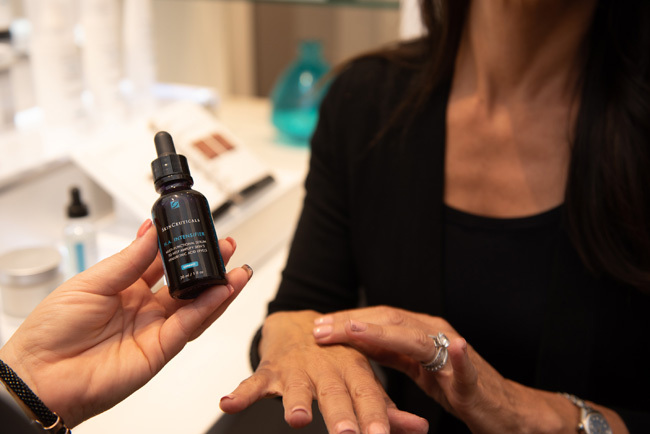 SkinCeuticals antioxidants target different skin types—like dry, oily, and problematic—and address visible skin concerns, such as fine lines, wrinkles, and discoloration. CORRECTING AND IMPROVING SKIN: SkinCeuticals' CORRECT products combine anti-aging, clarifying, moisturizing, and exfoliating ingredients to address a wide array of skin concerns, including the appearance of wrinkles, discoloration, blemishes, and more. When used regularly, these targeted products help restore a healthier and more youthful appearance. SKIN PROTECTION: The SkinCeuticals' PROTECT products include broad-spectrum UVA/UVB sunscreens, including Z-COTE® transparent zinc oxide, in cosmetically elegant textures. Suitable for all skin types, daily use, and prolonged sun exposure, these sunscreens work in conjunction with SkinCeuticals' antioxidant vitamin C serums to provide comprehensive environmental protection. 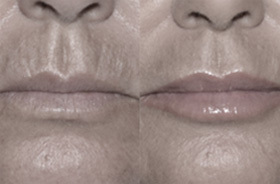 POST-PROCEDURE CARE: Post-procedure skin is delicate and needs special care. SkinCeuticals products suitable for post-procedure skin were formulated to soothe, rehydrate, and calm skin after intensive procedures. These products are also excellent for sensitive skin and very dry skin. These products include Phyto Corrective Mask, Soothing Cleanser, CE Ferulic, Phyto Corrective Gel, Hydra Balm, Physical UV Defense, and Epidermal Repair. ACNE: SkinCeuticals offers a complete line for acne-prone skin, including the award-winning LHA Cleansing Gel. HYPERPIGMENTATION: Skin discoloration is the result of excess melanin, which is the natural pigment that gives color to skin. An excess is often caused by chronic UV exposure, hormonal fluctuations, past acne blemishes, and natural aging. Combat skin discoloration with SkinCeuticals products that are clinically proven to reduce the appearance of discoloration by exfoliating dead skin cells and protecting the skin from environmental damage caused by free radicals and UV exposure. One of our favorite products in this category is Discoloration Defense, which targets visible skin discoloration for brighter, more even-looking skin. SENSITIVE SKIN AND ROSACEA: Sensitive skin can be an inherited trait, or may occur occasionally due to product use, stress, environmental exposure, or certain fragrances. 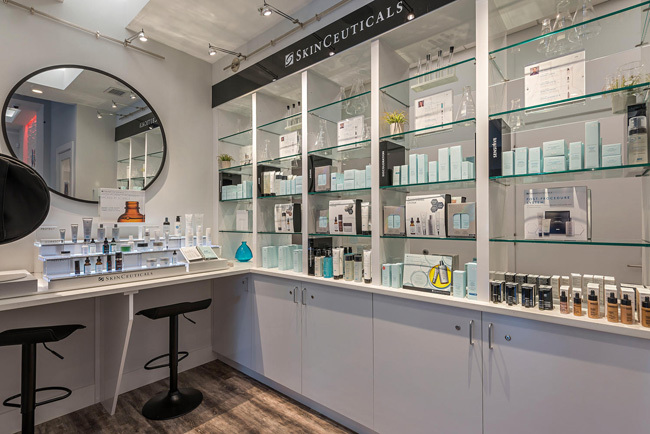 SkinCeuticals' advanced skin care products for sensitive skin help to alleviate skin discomfort and calm the overall appearance and feel of skin. These non-comedogenic skin care products are formulated for and tested on sensitive skin in order to maintain a comfortable look and feel. One of our favorite products in this category is Phyto Corrective Gel, which is a hydrating, soothing gel serum with botanical ingredients ideal to calm and hydrate skin, while improving visual redness. 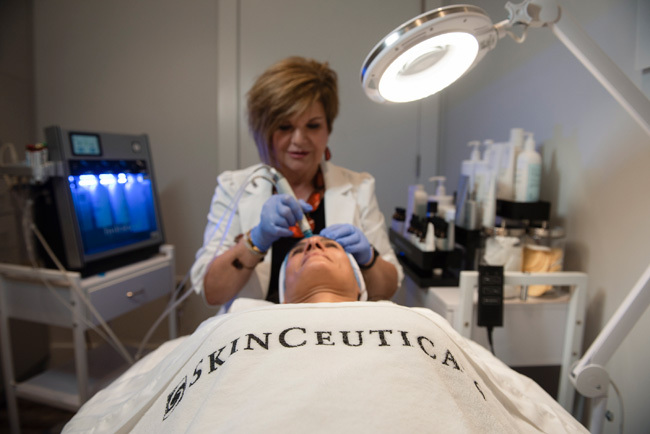 We offer SkinCeuticals at Skin Wellness Physicians because our doctors believe it is the top skin care line in the industry. 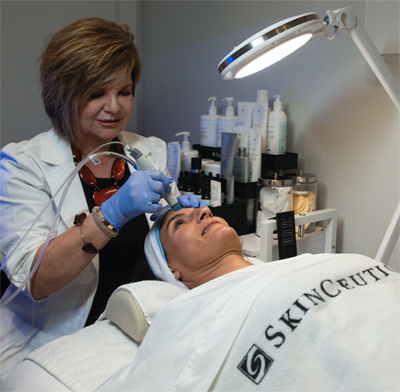 Find out what SkinCeuticals can do for you by booking a consultation with our licensed aesthetician! EltaMD® sunscreens help prevent sunburn and decrease the risk of skin cancer and early skin aging caused by the sun, when used with other sun protection measures. EltaMD® sunscreens are formulated with transparent zinc oxide, are noncomedogenic, and are free of sensitivity, fragrance, and parabens. All EltaMD® sunscreens are recommended by The Skin Cancer Foundation as effective broad-spectrum sunscreens. Ultraviolet, or UV rays, are part of the invisible energy that comes from the sun. UVA (aging) rays account for 95 percent of our sun exposure. They cause skin aging and contribute to skin cancer. UVA rays penetrate deeply into the skin layers, damaging collagen and cells, which leads to wrinkling, hyperpigmentation, and loss of elasticity. UVB (burning) rays mostly affect the outer layer of the skin. They cause sunburns and tanning that increase the risk of skin cancer and other disorders. The risk for skin cancer doubles in people who have had five or more sunburns, according to the Skin Cancer Foundation (November 2010). We offer most EltaMD® facial and body sunscreens, including the award winning UV Clear. This is a prescription topical treatment for acne vulgaris. We carry the cream in 0.025 percent strength. A valid prescription is required. Please see important safety information in the packaging. Nectifirm® ADVANCED has been recognized by NEWBEAUTY® in the "Youth Boosters" awards category as the "Neck Cream that Delivers Noticeable Results," making it a 2018 NEWBEAUTY® Award Winner. By tapping into the potential of the skin's microbiome, Nectifirm® ADVANCED uses groundbreaking, first-of-its kind, industry-leading technology, plus eight distinctive peptides, to help patients combat the visible signs of moderate to advanced aging on the neck and décolletage. It enhances the skin's own antioxidant system with Smart Antioxidant Technology, reduces the appearance of adipose tissue and rough, crepey skin, and smooths the appearance of lines and wrinkles. Specializing in kid-friendly and sensitive skin care products, Pharmaceutical Specialties develops and manufactures skin care products for people who need, or want, to avoid many of the common chemical irritants found in ordinary skin care products. Their products are free of dyes, fragrance, masking fragrance, lanolin, parabens, and formaldehyde. Because offensive ingredients are left out, these products may be used by people with sensitive skin. They are ideal for the entire family. The most important ingredient is TRUST. 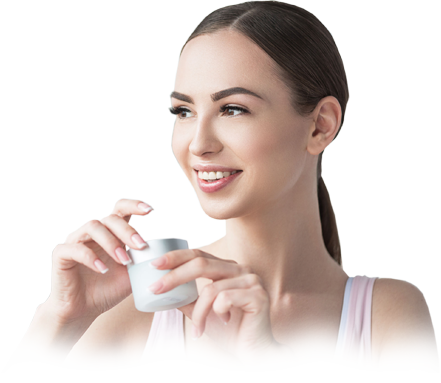 Some body and facial skin care products we carry at Skin Wellness Physicians are Vanicream™, Vanicream™ Lite Lotion, Vaniply™ Ointment/Skin Protectant, Vanicream™ Cleansing Bar, and Vanicream™ Z-Bar. Lip care extraordinare! Smooth and nourish your lips while keeping them hydrated, so they look healthy, plump, and youthful. We offer Liplux® SPF 30 Organic Lip Sunscreen and Mineral Liplux® SPF 30 Organic Tinted Lipsticks. Look beautiful while nourishing and protecting your lips from the sun! Biocorneum® is the only advanced scar treatment with FDA-Cleared Silishield™ patented crosslinking medical-grade silicone and SPF 30 that prevents and minimizes the formation of hypertrophic scars, decreases the appearance of old scars, protects scars from sun exposure's darkening effects, and dries quickly to adhere to skin for 12 to 24 hours. Biocorneum® can be used on scars resulting from surgical and cosmetic procedures, trauma, wounds, and burns. It can be effective on old or new scars. The Silishield™ technology advances the benefits of traditional silicone sheeting through the comfort and ease of a gel. Patented crosslinking silicone creates an invisible shield that feels like a second skin and helps reduce the appearance of scars. It can reduce redness and discoloration, as well as soften and flatten new and older hypertrophic and keloid scars resulting from surgical procedures, injuries, and burns. Why Biocorneum®? It gives you more control over your recovery process. Scars can be an unwanted visual reminder of a past procedure or injury. But scars are not simply cosmetic. 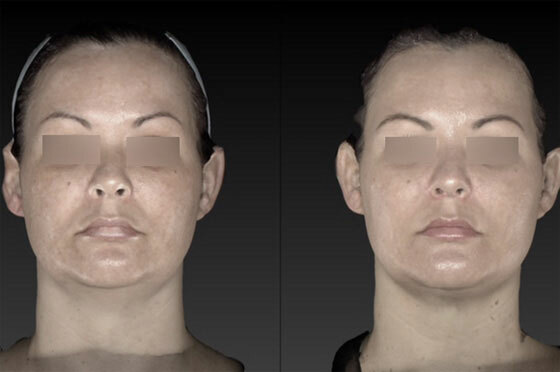 Scar tissue lacks the full function of skin that hasn't been injured or involved in a surgery. For example, flexibility and the sense of touch may be diminished or completely lost in the scar area. 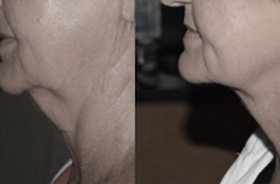 Effectively treating a scar can help to complete your healing process. 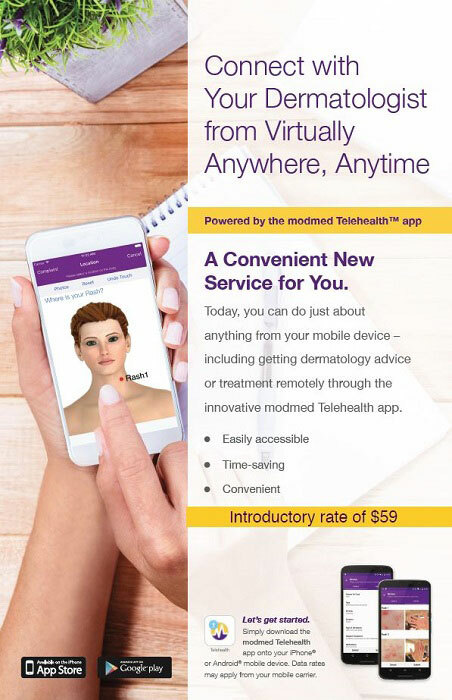 Dermablend® is the No. 1 most recommended makeup coverage product by dermatologists. Everything from stretch marks to acne scars to full-body and face tattoos vanish under the long lasting cover of Dermablend®. As a favorite among professional makeup artists, celebrities, and consumers, Dermablend® is regularly featured in leading magazines including Oprah, Allure, and InStyle. Dermablend® is allergy tested, non-comedogenic (does not block pores! ), non-acnegenic, and fragrance free. We offer concealers and highlighters for a variety of different skin tones. Contact Skin Wellness Physicians about skin care products in Naples, FL, and Marco Island. 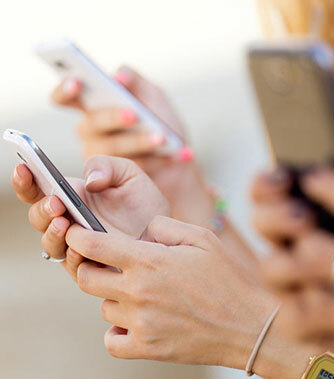 Arrange a consultation by sending a message online or calling (239) 732-0044.